When it comes to backyard patios, we know they are much more than just simple outdoor living spaces. Instead they are an area to be customize, accessorized and tailored to your individual tastes. However, no patio is complete without a shady retreat for those lazy summer days. While we all enjoy a little summer sun, you know as well as we do that it’s not quite a fun after a few hours under the burning rays. Instead, relaxing under a patio umbrella with an drink might be just what the doctor ordered. Prior to buying any patio umbrella you need to make sure that it’s the right choice for you. Considerations such as size, color, durability, price and features all play a critical role in selecting the perfect shade canopy for your outdoor space. 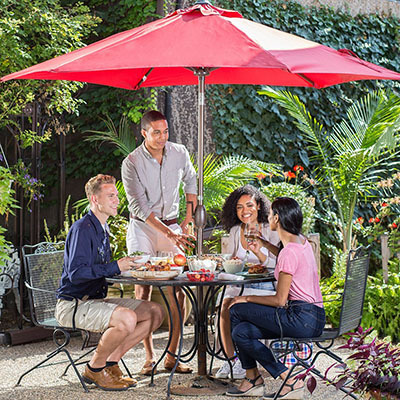 We’ve compiled a list of the best patio umbrellas and given each a thorough review, going over all of their key characteristics and features so you can rest assured that whichever you choose, your family will enjoy it for many summers to come. 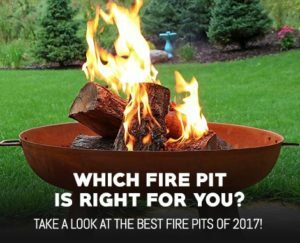 If you don’t feel like reading the whole article you can click here to skip to our top pick or glance at the below table comparing our top three choices. To start off our list, we have the incredible Abba Patio 9 Ft Patio Umbrella. The gorgeous shade canopy comes in four decorative colors and is made from durable polyester fabric that is both rain and weather resistant, perfect for providing much needed shade during the summer months. Made with strong steel ribbing, a rust proof aluminium pole and a vented canopy design, the Abba patio umbrella is robust enough to withstand the heaviest of summer storms. We also loved the push button tilt and crank system, it made adjusting the angle of the umbrella a breeze. After all there is nothing worse than having the sun peek under your patio umbrella canopy and shine directly in your eyes. Overall if you’re looking for a solid, budget friendly patio umbrella that just works, this is the one to get. With an amazingly roomy 10 ft canopy, the Le Papillon Cantilever Patio Umbrella is perfect for for the ultimate in backyard shade. The Cantilever Umbrella design means you get maximum space under the canopy and don’t have to worry about any poles or bases blocking your chairs. This backyard umbrella comes in 4 different colors and has the ability to rotate, pivot and swing so you can get it positioned just right without having to move the entire unit. 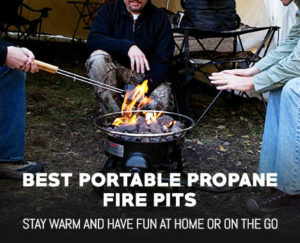 With a durable and weatherproof designed it’s perfect for for outdoor use. The easy open lift system was very simple to operate and was great for quick setup. We were also impressed with the included unweighted base, it was well built, sturdy and compatible with many different umbrella weights. In summary this is a perfect patio umbrella for larger spaces and provides excellent shade protection throughout the summer with it’s stunning cantilever design and durable materials. As one of the more high end patio umbrellas on our list, the Galtech Deluxe Auto-Tilt Umbrella is extremely durable and built with superior quality materials for year after year of continuous use. With 17 colors to choose from it has the most options of any of our top choices and will fit well with existing decor. The easy crank auto-tilt and high quality stainless steel cable make it quick to open and reliable every time. Even better is the patented Sunbrella fabric which is an incredible 98% UV resistant and provides excellent shade that outperforms lower cost alternatives. We were impressed with the 3 year frame warranty and 5 year fabric warranty, those lengths of time are nearly unheard of in the patio umbrella industry. Overall this is a top notch patio umbrella and well worth the cost, this is one of those buy it for life items that you won’t regret purchasing. With an easy to open and close design, the Abba Patio 7-1/2ft Round Outdoor Market Patio Umbrella makes for an excellent choice. Available in three distinct colors ranging from beige, green and red this umbrella looks quite impressive and is a snap to assembly. We were impressed with the thick polyester fabric and the sturdy stitching throughout the canopy. Plus, the 100% polyester umbrella offers 98% UV protection while also being fade, mildew and mold resistant for superior outdoor performance. The four steel ribs provide enhanced stability and wind resistance to the canopy and the aluminium frame offers lightweight strength to the entire unit. The included tilting mechanics also works perfectly and allows us to block the sun at nearly any angle. Coming with a standard 1.5” pole it is also perfect for a wide variety of weighted umbrella bases. In summary the Abba Patio Outdoor Umbrella is a great budget patio umbrella with excellent performance. Even though it is affordable, it does not sacrifice performance or cut any corners. If you’re looking for a more tropical theme, the Castlecreek 9ft. 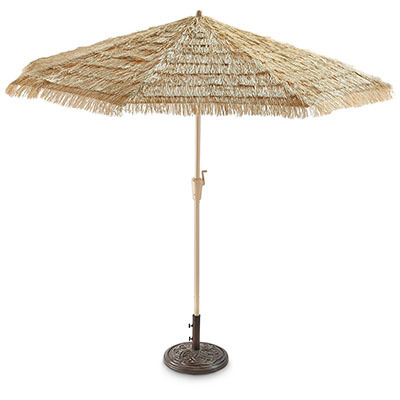 Thatched Tiki Umbrella will transport you back to white sand beaches and clear blue waters. With an authentic tiki look the Teflon treated fabric canopy repels water and resists sunlight while looking incredible. The integrate crank handle was very easy to operate and we could raise or lower the umbrella at a moment’s notice. While this tropical tiki patio umbrella is unable to tilt, it does have 8 support ribs instead of the traditional 4 as well as a durable 1-⅞” thick base pole for enhanced structural stability and wind resistance. The large 9 foot shaded area was perfect for keeping the sun off and had more than enough room for multiple zero gravity chairs. Plus, the adjustable pole height was perfect for getting the deck umbrella positioned just the way we wanted it. 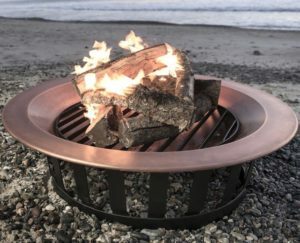 In summary, this is a great addition to any tiki themed patio and still provides the sun protection and weather resistance you’ve come to expect from any of our top choices. Even for a budget patio umbrella you may initially think the price of the Farland Patio Umbrella is too good to be true. However, we’re here to tell you not only is it true, but the overall quality of the outdoor umbrella is extremely high. Boasting an impressive 8 steel support ribs and a 1.5” powder coated, rust resistant center pole, the Farland can go toe to toe with any of our other top choices. We loved the vented umbrella design which provided enhanced wind resistance and reduced trapped heat. The easy open crank and tilt feature were also a godsend for when we just wanted to relax and not fiddle with any pulleys and levers. Coming in a variety of colors this aluminium budget patio umbrella makes for an excellent choice, and while it may not be quite as durable in the long run, for the price, it’s hard to beat. This thing is big, and we mean huge. With a massive 14 foot span this is an incredible large patio umbrella, perfect for large outdoor livings spaces where maximum sun protection is a must. The elegant, refined design of Le Papillon looks stunning and were were equally impressed with the structural integrity of the unit. With 14 steel ribs supporting the canopy it is super sturdy and able to withstand heavy winds, rain and more without even breaking a sweat. For a large patio umbrella, the Le Paillon folds up into an incredibly compact package when not in use, an excellent feature for when the sun dips below the horizon. Plus the hassle free opening mechanism is easy to operate and durable enough for years of use. If you’re looking to make a statement on your patio and want to create your own mini solar eclipse, the Le Paillion will do all that and more. It is in our opinion, one of, if not the best patio umbrella on the market. With seven vibrant colors to choose from, the Sundale Patio Umbrella brings fun in the sun a whole new meaning. 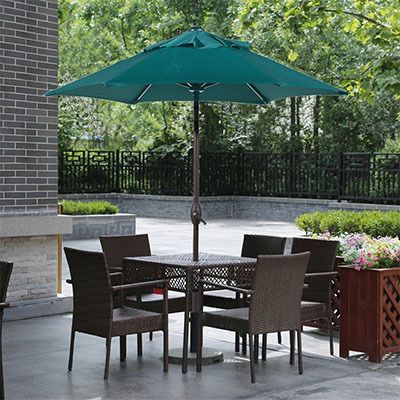 Eight lightweight yet durable fiberglass ribs stretch across the umbrella canopy and provide great structural stability at an affordable price. We loved the rich dark brown finish of the center pole and thought it added a lot of class and style to the unit. Plus, the crank and tilt mechanism were very well build and worked without a hitch. Standing on a 1.5” pole and weighing in at only 9.8 pounds the Sundale Patio Umbrella is very easy to move and store for the winter months making it great for northern climates. In general this is a great choice that is built to last. While it doesn’t have any special features, it is simple to operate and block the sun as expected. This beautiful 360 degree rotating cantilever umbrella is perfect for relaxing on those balmy summer days. The FarLand Patio Umbrella is made from 100% polyester fabric that is both sun and rain resistant, perfect for those who like to do as little maintenance as possible. The eight under canopy supports also offer a ton of additional durability and wind resistance for those summer storms. We just can stress how useful a cantilever umbrella is, they provide significantly more room than traditional umbrellas and are far more adjustable which is exactly what you want. Keep in mind however that you need to purchase some base weight like those listed below as these units are very lopsided due to their arching design. 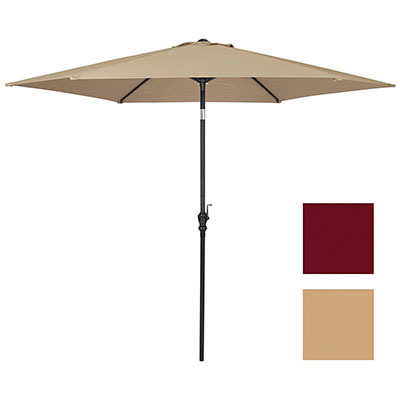 Overall, the FarLand Patio Umbrella is an excellent offset umbrella and provides a ton of shade while still retaining its usability and good looks. The best patio umbrella needs to have the right mix of durability, style, price and performance, and the Best Choice Products Steel Market Outdoor Patio umbrella has them all. With a low price, premium UV resistant canopy material and six large supporting ribs it would make a great addition to your outdoor patio. The only real concern we had was the tilt mechanism was quite high off the ground, especially for the ladies. We had to stand on one of our chairs to reach it, but at least the tilt feature worked effortlessly. Even in the sunny south, this budget patio umbrella offered excellent shade and for the price it’s hard to beat. 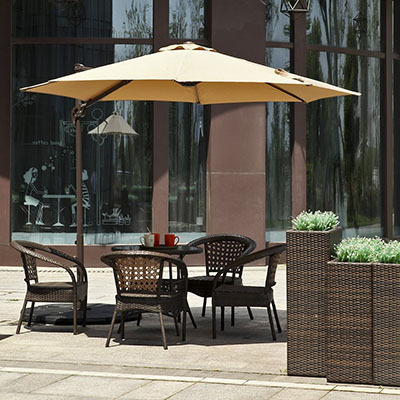 As a solid entry level unit, the BCP patio umbrella is a great start to an outdoor living space. Paired with a weighted base and you’ll be relaxing in style before you know it. 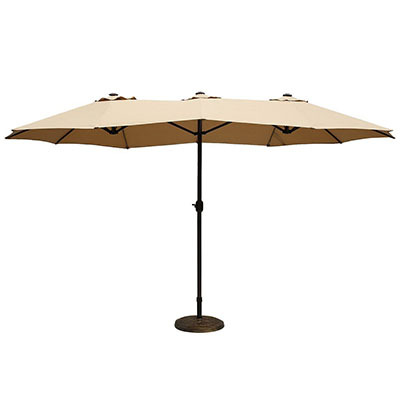 Last up on our list for the best patio umbrella is the fashion forward Abba Patio 8.5 Ft Outdoor Market Umbrella. 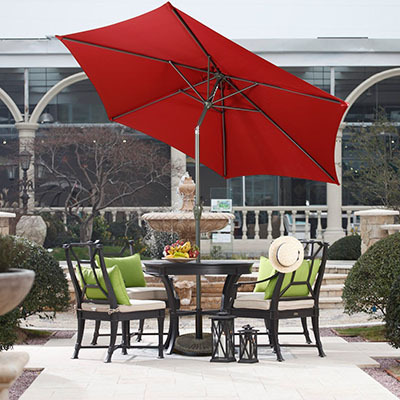 This designer patio umbrella certainly makes a statement with its bold red coloring and classic design. We loved the larger shaded area and were impressed with the personal umbrella like support ribs which did an excellent job of distributing any wind load and help to stabilize the canopy. Not only that but the tilt feature worked flawlessly and was very easy to operating, giving us more proof that abba patio is one of the leading patio furniture manufacturers. We were surprised at how light the aluminium center pole was and were pleased with the durable powder coated metal which was not only rust resistant but colored perfectly to match the rest of the outdoor umbrella. 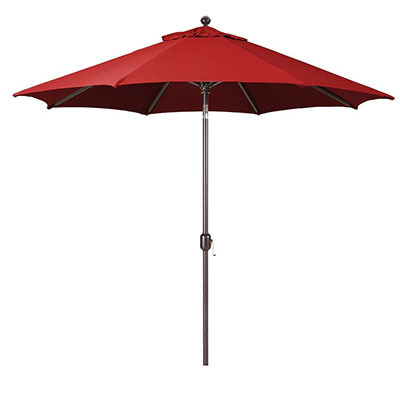 Overall this is an excellent designer patio umbrella and is perfect for those who like bold color and designs.